This is the inpatient care level, home to a moderate-care unit with 24 private rooms. It complements other inpatient units, located in University Hospital, that are affiliated with the Cardiovascular Center. 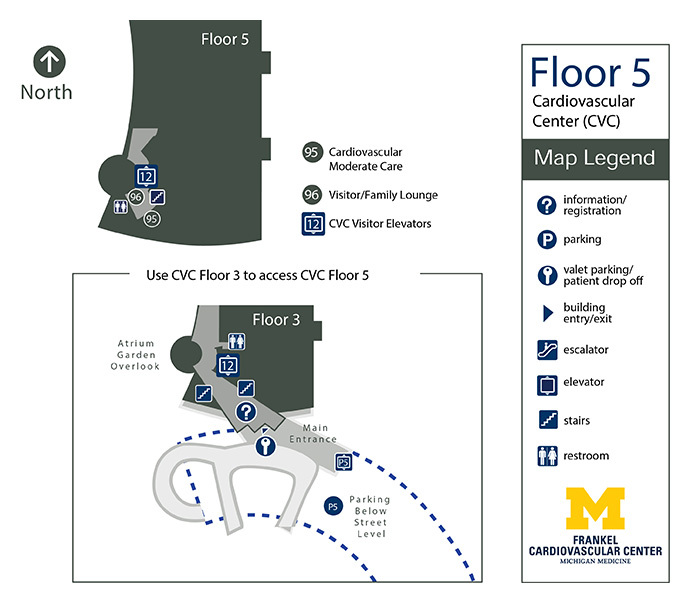 Patients are admitted to this floor after having either surgery or a catheter-based procedure on their blood vessels, and after becoming stable enough to be “stepped down” to a regular non-ICU floor. Also on this level: The offices of the surgery and radiology faculty, and a large conference room.